Discussion in 'Prem talk, Those Other Leagues, and International' started by SoCalJoe, Feb 28, 2018. Enjoyed watching Columbus beat NYRB. Higuin is joyous to watch play. Atlanta vs NYCFC was brutal to watch on that postage stamp of a field. Such a shame with the talent available to both teams. Seriously, how long does it take to build a stadium? Was that not part of the deal for awarding the team? The pinnacle of greed in MLS. It's the guys with the big money, so the rules are different for them. Funny how the "you must have a SSS" requirement disappeared when the big money owners of the Sounders, NYCFC, Atlanta United (and probably forgetting a few others) wanted in on the cabal. They screwed Sacramento out of the franchise they'd promised because they found people with more money. And now there are 2 teams in NY and 2 teams in LA, and the league is showing all the signs of becoming big-city-centric. I haven't watched a minute of the MLS playoffs, another sign that my interest is MLS is waning, particularly after our "local" team, the Earthquakes, were so awful this year. It's also pretty clear that under the current setup, the Earthquakes will continue to have no chance against the big-money teams. Why bother? There's better football elsewhere. Sac, I certainly understand how you feel when your city gets their ducks in a row then gets hosed. That said, Portland, Columbus, & Real Salt Lake are still playing and aren’t big money teams. The Quakes do well in attendance and just hired a good manager. They should be able to compete in MLS if run properly. As far as the playoffs are concerned, the best rivalry in the league continues tonight as the Timbers and Sounders play their 2nd leg (Portland leads 2-1 on agg.). Vamos Rose City!! nevzter and BarryWhite like this. Portland hosting KC right now (0-0 early on) in the Western Final. Atlanta thrashed the Energy Drinks 3-0 in their first leg. Tata is said to be off to manage El Tri, but could there be another country making a run at him? SoCalJoe, encorespanish and BarryWhite like this. 2nd legs tonight, should be a cruiser for the ATL, and would gladly take a 1-1 final in KC (the first leg should’ve been 2-2 w/all the chances both created). The security blanket for the Timbers are the Lanus Boys (Valeri & Blanco are both products of Lanus FC’s’ Academy in Argentina) The goal from Blanco to tie it was top shelf, the brace from Valeri that followed put the Timbers in the Final in Atlanta. Nice win by Portland...and I think the same referees from the recent Italy/US matchup were in charge of deciding the amount of extra time to be added. I like the match-up, but can Portland blunt Atlanta's attack? Atlanta the heavy favorite at home for the final on Saturday night. The Timbers Army weren’t happy w/the 1300 ticket allotment which sold out in 4 minutes. Sounds like there will be close to 70K in attendance. Fingers crossed Portland adds to the city of Atlanta’s rich history of their pro teams choking. sacffc, nevzter and encorespanish like this. More then 73K at The Benz to watch the best team in the league deservingly win 2-0. Bad giveaway led to the first goal, a quality save by Guzan followed right after. Early goal in the second and that was that. I know the MLS has their share of screwups, but moving the Final to the home of the highest seed wasn’t one of them. It got a few eyeballs on the tube as well. Highest ratings in 20 years. 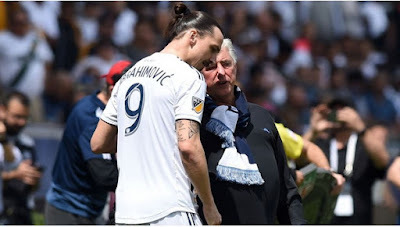 Major League Soccer and the world of football are mourning and mourn the death of Sigi Schmid, the most successful coach in the history of MLS. Schmid has won 240 regular season MLS matches to which 26 other challenges won in the postseason have to be added. For two times he was MLS Coach of the Year (1999 and 2008) and he also posted five US Open Cups (including four with Sounders). He was also one of the two coaches to bring an MLS team to the triumph in CONCACAF Champions League, with LA Galaxy in 2002. I've been away for a little while, but man, this one hurt. By all accounts (and there were a lot of them), Sigi was pure class and made an immeasurable impact on the game in the States.